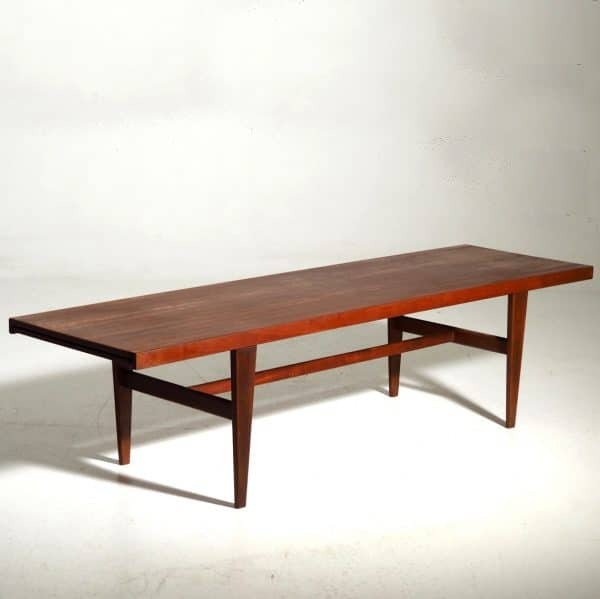 Large teak table by Danish architect with extension. Wear consistent with age and use. Categories: Period Furniture, Mid - Century / 1950 - 1970. Tags: COFFEE TABLE, DENMARK, TABLE, TEAK, WOOD. 20 H in. x 106 W in. x 22 D in.